Betsy Tan speaks to Kenneth Feinstein on how television news images reflect reality - or not. In our media-saturated society, we accept that television shows and films follow certain pre-determined conventions, but we do not relate such conventions with the television news image. According to artist and media theorist, Kenneth Feinstein, we believe news images to be faithful reflections of reality when they have, in reality, gone through many levels of filtering and mediation. In an interview with this writer, he explains more about the inspiration and intention behind “Telegeneric Realities”, his first solo exhibition in Singapore. 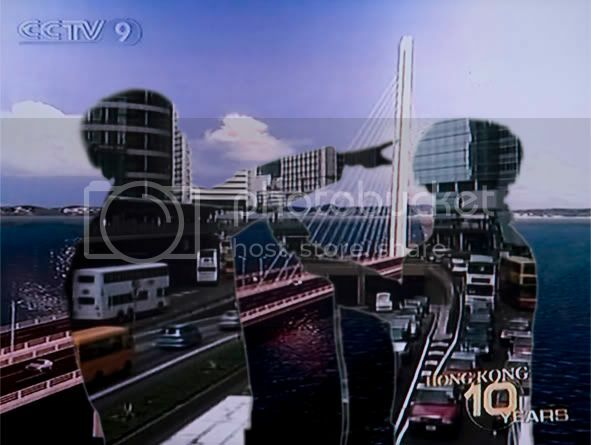 BT: What inspired the photo collages of Telegeneric Realities? KF: I have always been interested in how images are created and presented to the public. After moving to Singapore, I became fascinated with how much the different networks look the same. The uniformity of image and the sharing of source footage interested me. Having been trained as a documentary film maker, I was very conscious of what the accepted rules for making TV news items are. Being trained as a philosopher and media theorist, I tend to take a critical view of what we see (on TV) and how it is presented. Finding our depiction of so-called “reality” to be fairly universal prompted me to create a body of work that emphasised this aspect of our viewing life. BT: It is interesting that transient screen shots are given permanence in the form of a photo collage. Is there an underlying message? If there is a political message to this work, it is not based on a specific ideology, but rather the idea that the media has its own ideology and we tend to accept it in an uncritical fashion because we are so exposed to it. The more we are exposed to it, the more invisible it becomes. It gets ingrained into our psyche. When we look at news images on television, we tend to forget all the levels of mediation that have gone into what ends up on the screen. From the cameraman to the news producer, several layers of editing and decisions have determined what gets seen. There is very little room for an image that does not fit the pre-designed mould. BT: There’s a collage of Bush with a diplomat whose face was digitally removed and melded with the background. What message were you trying to get across in that shot? 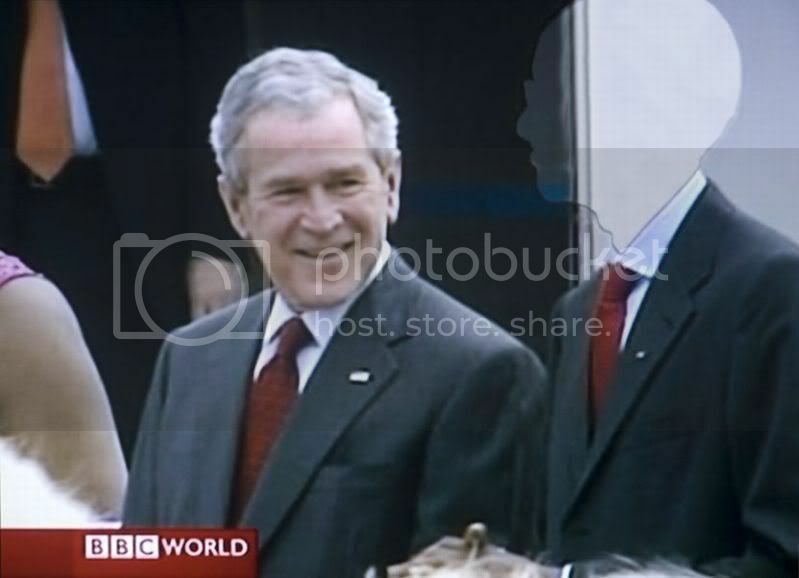 KF: In this image I was looking at how Third World leaders are presented as faceless and replaceable. The removed person is the President of Uganda. How many people know who he is and how often do we see him on air? But George Bush is known to all of us. He was the head of a nation that mattered. And how is the Third World covered on television? Starving children and war. Leaders are only seen as either petty dictators or strategic allies. They are presented in terms of their use to the West. If they are not useful, then they can be replaced. BT: How do you think the state of news media has changed in the last few years? And what changes will we see in the next few years? KF: Has the state of the news changed? Not really. Over here, the news follows the BBC style, which is better than the CNN and Fox News form. There are less battling talking heads, but otherwise it is all the same. Media worldwide has consolidated into the hands of a few very powerful people and corporations, the best known being Rupert Murdoch’s News Corp. They use the news to push whatever agenda that keeps them rich and in power. Broadcast news is not a place for the voice of the people. That is what the Internet has become. How long it will take for these people to co-opt the Internet? I don’t know. Catch “Telegeneric Realities” at 2902 Gallery at Old School, Mount Sophia from now till 16 April 2009. Mr Feinstein will be giving a talk to the public on 18th April, Saturday, 3 to 4pm at 2902 Gallery, Workshop Room.